The Memory Tracker is the only app you need to automatically track your work across web and desktop. And it works automatically. No wrestling with multiple manual timers; the Memory Tracker tracks all the time you spend on different clients and projects in the background while you work. 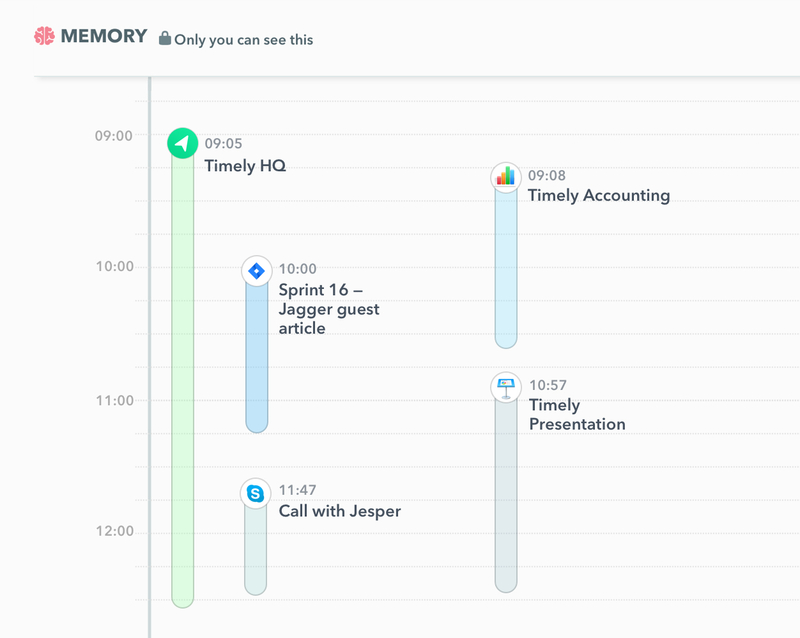 Just select the Memory Tracker app from Timely’s Hours view to start tracking the time you spend in all your work apps. And you’re done – no additional integrations needed! 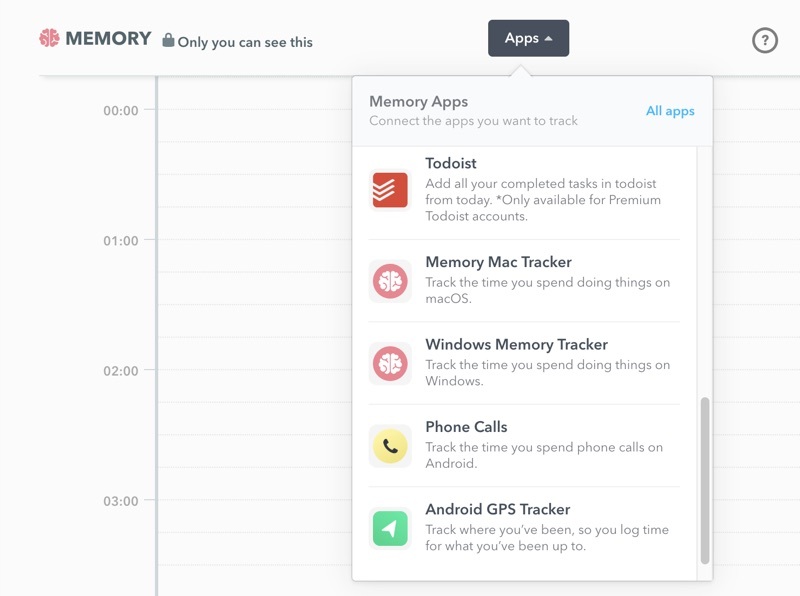 If you start using a new app, the Memory Tracker will automatically pick it up and start tracking active time for you. Just click on your tracked entries to add them to your timesheet – or use our ready-made dashboards to report and analyze all your activity effortlessly. The data Memory collects is highly personal. That’s why you – and only you – can see it. All your tracked data is recorded in a secure, private timeline that only you can access. Your team can only see the logged hours you’ve personally approved, so no private information will ever find its way to your timesheet. No creeping or spying — the security of your data is rock solid.